Apple has put us all out of our smartphone related misery and finally announced the details of the sixth-generation iPhone, and is dubbed the iPhone 5. After months of intense speculation surrounding the multiple leaked parts and component images that have been flying around the net, Tim Cook and his team have finally lifted the lid on the smartphone that they hope will lead them into the new year in the top spot. Many of the new iPhone’s included features are in line with what we expected, although as always Apple have managed to slip in a few little additions. But what about those consumers who don’t have that need to stay on top of the smartphone game and have the very latest hardware? As generations of products advance and companies push out new technology, there is always going to bet a set of users who are happy to stay one step behind and snap up an excellent deal with an older device, either through secondary sales channels or as an official new purchase. Apple recognized this when announcing the third version of the iPad and made the iPad 2 available at a discounted price through their official retail chain of stores. Thankfully for those who wish to grab themselves a bargain, the company has followed this trend by announcing that the fifth-generation iPhone, the iPhone 4S, 16GB model, will be available to consumers at a discounted price of $99. The benefit of making such a decision is two fold for Apple. First of all it allows them to promote the fact that they actually understand financial implications and are allowing consumers a cheaper way of championing the Apple brand. Secondly, it also allows the company to deplete existing stocks of the iPhone 4S at a profit as well. 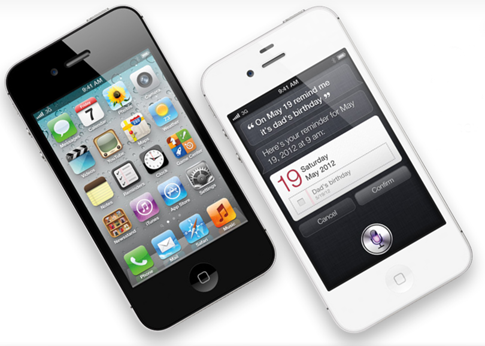 The availability of the cheaper iPhone 4S as well as the fantastic new iPhone 5 model will surely put Apple in a great position going into the holiday season and should ensure that they manage to fend off any competition for most popular smartphone at the back end of the year from the likes of Nokia, Motorola and Samsung. From a consumer perspective, it may be worth while checking out the reduced spec and priced model rather than looking at secondary sales channels to acquire a 4S.